Up to 15-thousand Green Bay Packers fans are expected to show up at Lambeau Field tonight for the Packers Playoff Pep Rally. None of the current players are expected to show up, but several alums are scheduled to make appearances, including Dorsey Levens, Antonio Freeman, and Jerry Kramer. Some of the Packers’ management officials will also show up. People will be able to enjoy music, giveaways, and fireworks at the end of the night. All of the tickets have already been given out. The pep rally comes on the eve of the team’s first playoff appearance this season. 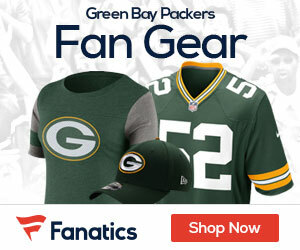 Subscribe to Packers Gab via RSS Feed or E-mail and receive daily news updates from us! Could Aaron Rodgers Talk Jordy Nelson Into Coming Out of Retirement? Sign up to receive our daily Packers Gab newsletter, and keep up to date with all the latest Green Bay Packers news. Celebrity Seats has all the best Green Bay Packers Tickets, Milwaukee Brewers Tickets, and Milwaukee Bucks Tickets!